Back in January of 2015, while on the set of the N.W.A. 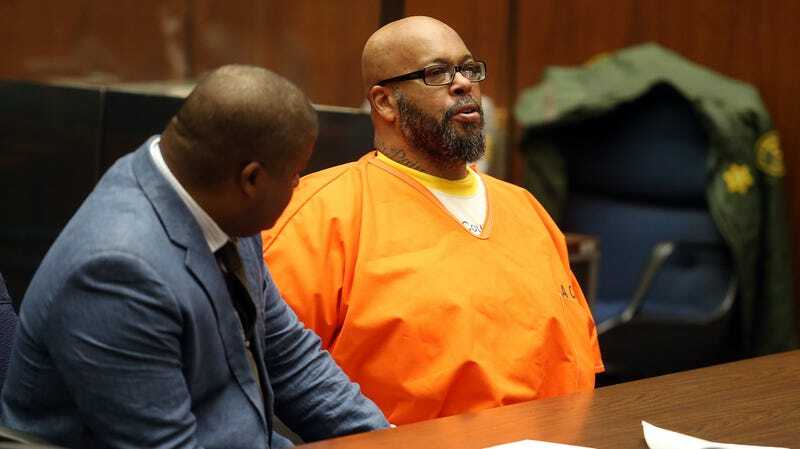 biopic Straight Outta Compton, rap mogul Suge Knight hit a man named Terry Carter with his car and drove off. Carter died, and Knight was later charged with murder—which could have gotten him life in prison. Today, after several setbacks (including Knight firing his legal team and two of his former attorneys getting indicted for tampering with a witness), the former Death Row Records CEO has pled no contest to the lesser charge of voluntary manslaughter, with a judge sentencing him to 28 years in prison. This has allowed Knight and the legal system to avoid what was apparently going to be a pretty dramatic trial, which was set to begin in October and may have included several witnesses who would’ve refused to be named. These court hearing were still relatively dramatic, though, with an Associated Press report saying that Knight frequently ignored the advice of attorneys and made loud outbursts to complain about jail conditions and to make a joke about ICE that got “a smattering of laughs” in the courtroom. Knight was also accused of sending threats to Straight Outta Compton director F. Gary Gray while all of this was going on.